Durham Tech students are doing great things every day, and one of the possible career paths available to students is a future in law enforcement. 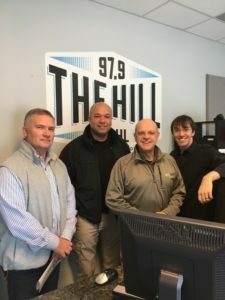 Listen below to the full on-air interview as WCHL’s Aaron Keck speaks to Doug Thomas, the Durham Tech program coordinator for the Basic Law Enforcement Training Program, along with Orange County Sheriff Charles Blackwood and Ricky Watson — Sergeant over Training at the OC Sheriff’s office — about the difference that Durham Tech students are making in their local communities and beyond. 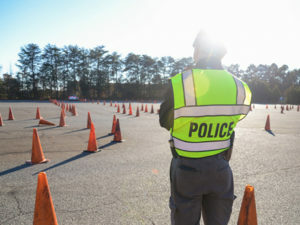 The Basic Law Enforcement Training (BLET) program at Durham Tech is structured specifically to impart essential skills to students that will be needed to competently perform in entry-level employment as law enforcement officers in government and private positions alike. Using State commission-mandated topics and methods, the subject matter includes — but is not limited to — criminal, juvenile, civil, traffic, and alcohol beverage laws; investigative, patrol, custody, and court procedures; emergency responses; and ethics and community relations. Students who complete all units of study and pass all relevant exams receive a certificate that opens doors for Durham Tech students to become active participants in law enforcement and to do great things. Each month we will profile a “Do Great Things” initiative from Durham Tech with in-studio guest interviews and interactive articles on Chapelboro.com. 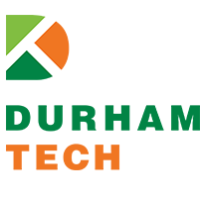 This feature showcases some of the inspiring initiatives and programs at Durham Tech that make our community proud.